The Socials Ignited plugin allows you to display and link icons on your website of more than fifty social networks, just by dragging a widget. The themes that support it come with the plugin preinstalled and activated. 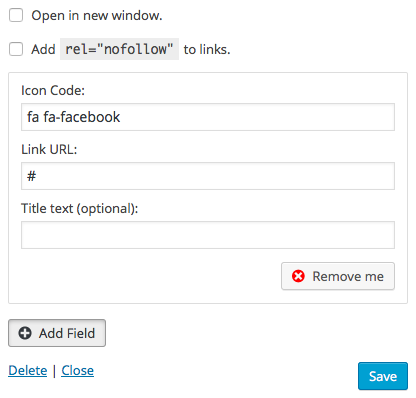 This specific plugin provides you with a simple way to embed link icons for your social network profiles. The Socials Ignited default settings can be accessed under Settings > Socials Ignited in your WordPress dashboard. You can adjust dimensions, color for the icons, their background and their border. The Socials Ignited plugin activates its respective widget, which can be accessed under Appearance > Widgets. Click on the widget, pick the widgetized area you want to embed it in and click Add Widget. Once added, you can configure the widget by typing a relevant title. 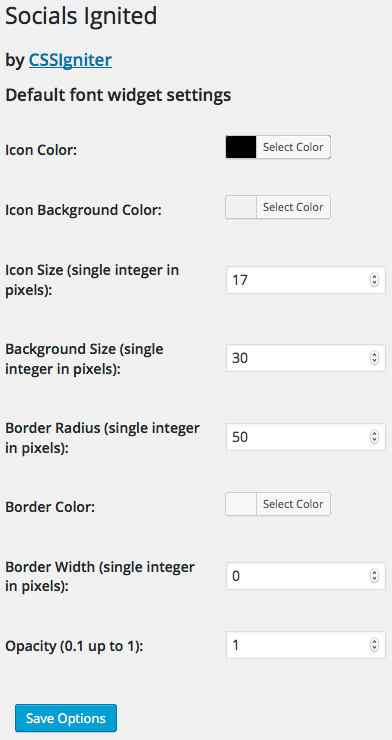 The default settings can be overridden by specifying the dimensions and colors of the icons, their background area as well as their border. You can add multiple icon links to your social network profiles, by clicking Add Field and filling out the respective fields.